Materials: Red oak facing wood veneer, and Astroparche aged parchment card stock 65lb paper were used as main. 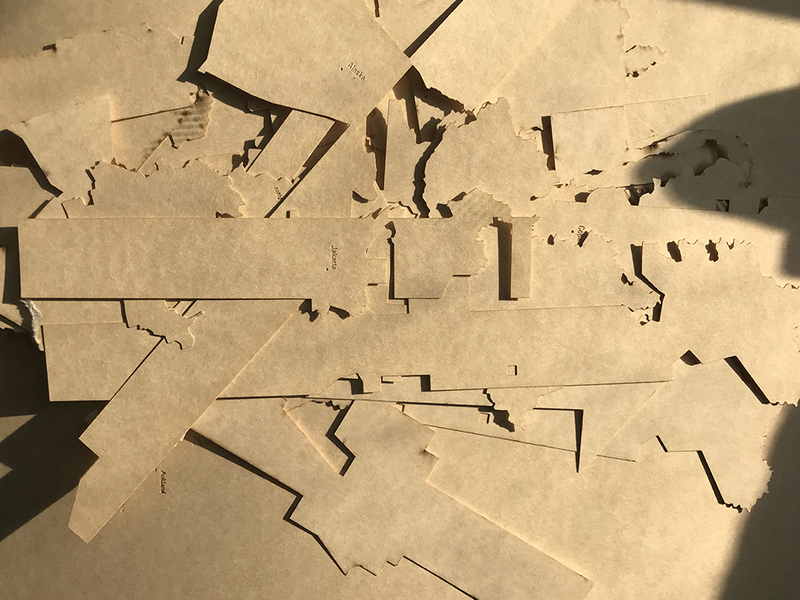 Some black paper (that was approximately card stock thickness as well) and 0.01" thickness acetate paper were partially used for the placement of photo-resistors and islands of timezones. Since I've been keep using new materials every week, I decided to use something I'm bit more familiar along with something unknown. I first wanted to get decent card stock papers from PaperWorks, but soon I realized it will cost more money and time away from RI. I moved on to find similar material from Amazon. 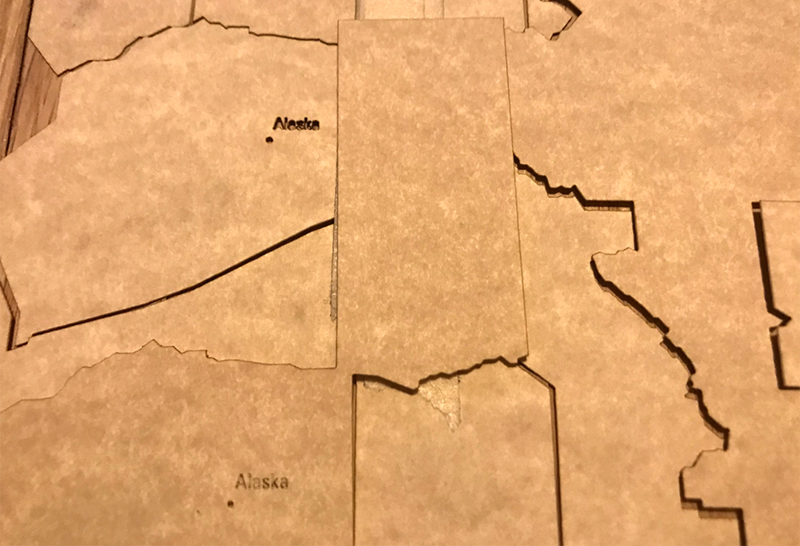 Initially city names were written in moderate etching, but after I found I it's easier to read the city names when they're slightly burnt out on the edges (comparing two Alaska with different laser cutting speed settings), I rather started cutting them than etching. 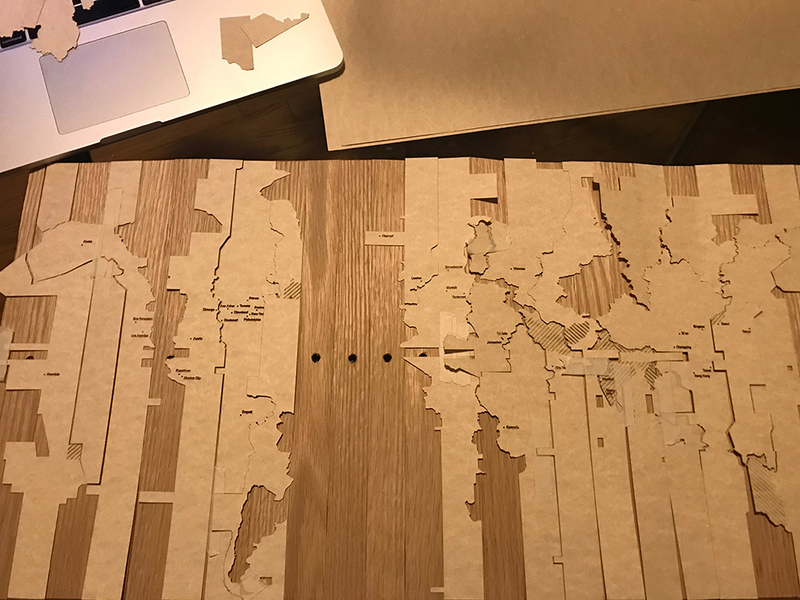 Putting wood veneer underneath paper was more of an accident. 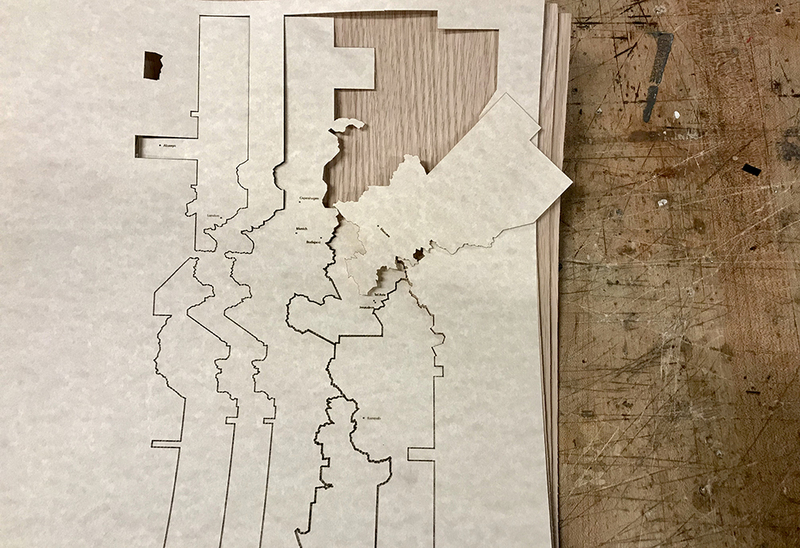 After I finished laser cutting, I didn't have space so I just pile the paper up on the wood veneer and found out their color palettes are well matching. However, wood veneer was hard to cut with knife or make hinge with it because it's natural wood and has irregular surface. Therefore, I used cardboard as a hinge and cut 1" lines of wood veneer with scissors. 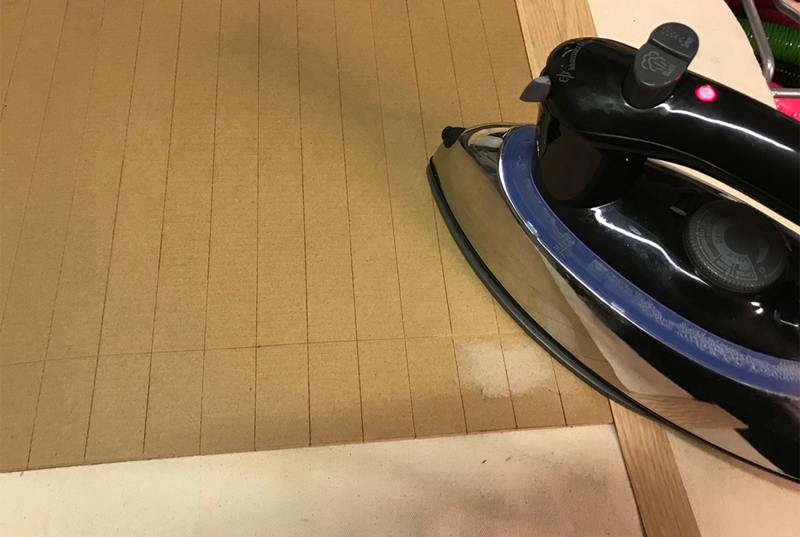 The wood veneer I got is pre-glued, which made me to use the iron in the Soft lab. Following ThisToThat's advice, I decided to use Sobo. 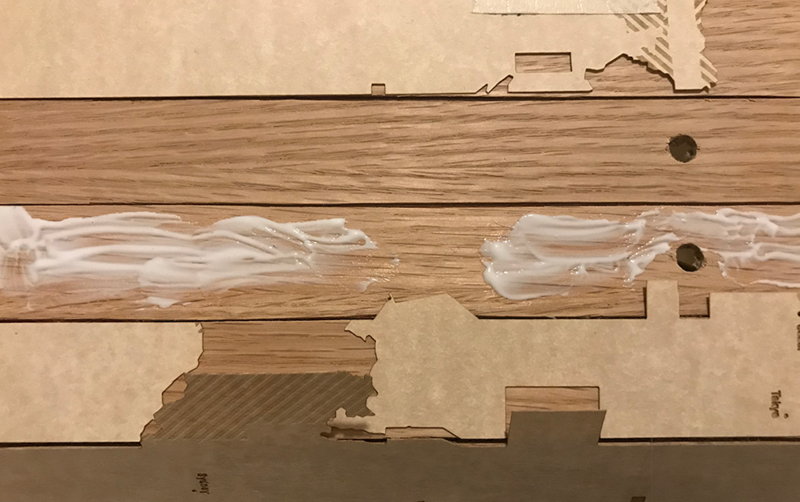 3M 77 is in spray type that isn't convenient for small size application, and although I was interested in Yamato glue I got Sobo due to easier accessibility. After testing on small piece of wood veneer, I start applying it overall. Least favorite part: placing the timezone pieces with masking tape before gluing. The materials look good together, but the difference is pretty subtle. At least in the pictures it looks subtle. Do you want very clear definition between them? 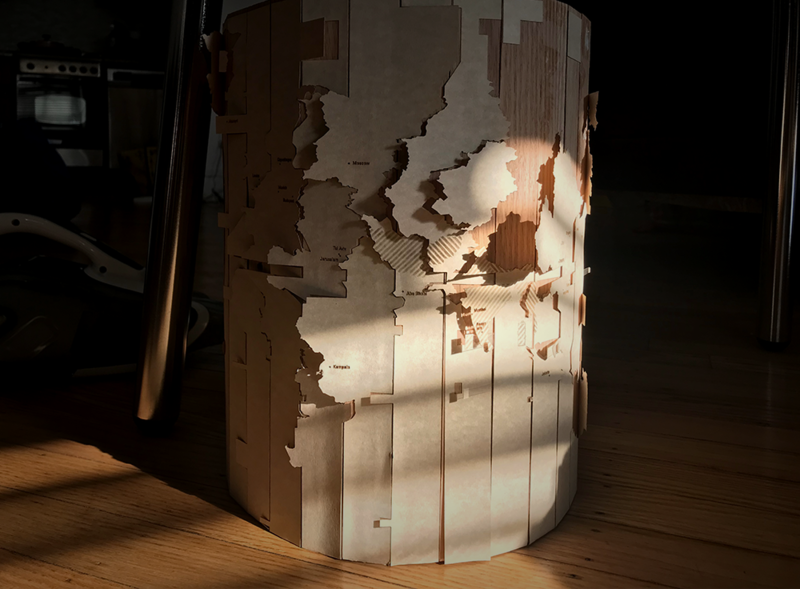 Where did you get the wood veneer from?